An attractive mix of dwarf double-flowers from May to June in shades of red, pink and bi-colours. Plants grow to a height of about 30cm and are good for beds and borders. Sweet Williams are traditional cottage garden plants. Dianthus ‘Dwarf Double’ prefers a sunny position in free draining soil. 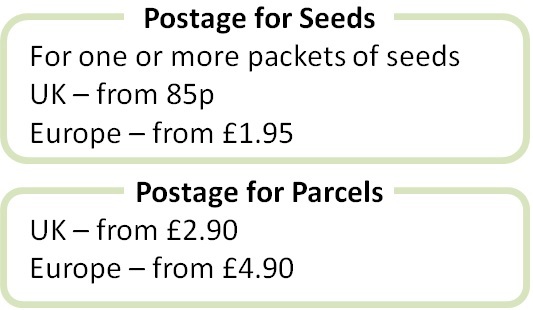 Pack of approx 600 seeds. Sow in spring and summer for next year flowering. Sowing instructions and a colour photo are printed on the packet. Conditions Full sun and well-drained soil. Sow indoors from March to June in moist seed compost to a depth of about 10mm. Keep at room temperature and seeds germinate in 1-2 weeks. Pot on young seedlings and harden off before planting out after the last frost. Or sow directly in the ground May to June (after the last frost) in cultivated soil. Rake over and seedlings emerge in 1-3 weeks. Water and fertilize sparingly. Grow The young plants grow on during the summer and autumn and flower the following spring. Deadhead regularly to prolong flowering. Cut back the plants hard after flowering and they may survive and flower for another year or two.